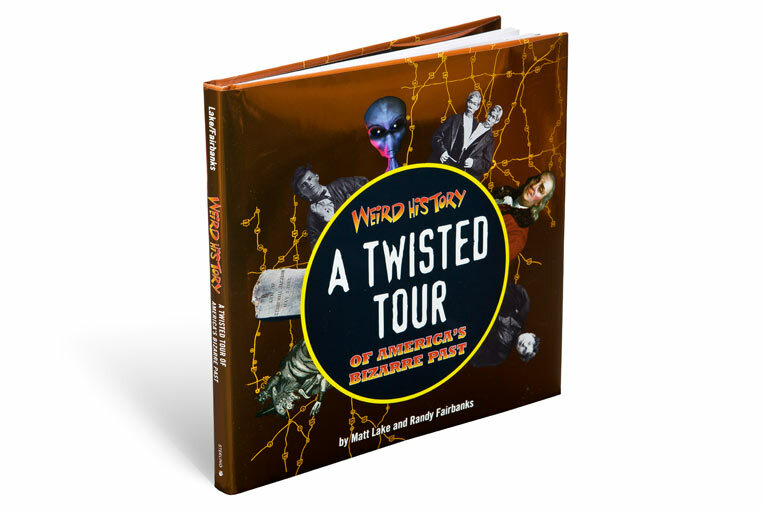 An offshoot of the popular Weird U.S. series, the Weird History books explore historical curiosities and strange phenomena in different regions of the country. Sterling Publishing asked Li’l Robin to create a unique and consistent look for the books, to help establish the spinoff as a series in its own right. Our template for the books provides a strong, clear structure that guides readers on their road trip through the unusual. The flexible grid accommodates many different image styles and types of information, with pictures silhouetted for emphasis and consistency and titles set in large, attention-grabbing wood block type. Humorous blurbs and fun facts provide multiple entry points for the reader as they wander through the weird.